Vizquel is a top-20 career shortstop based on this metric, but compare that to Baltimore Orioles infield great Mark Belanger, who heads the list with 241, a number that is actually second for defensive players overall. You can spend a whole night of beer-fed barguments over whether Belanger or Ozzie Smith is the greatest defensive shortstop of all time, but that’s not getting Brooks Robinson’s infield sidekick anywhere near Cooperstown. Is that a shame? Perhaps it’s time to give elite defensive players their public due, but I still wanted to hear another opinion, one much closer to this debate than I ever could be. Sounds very familiar to the 1971 World Series champion Orioles, which included four 20-game winners, Dave McNally, Mike Cuellar, Pat Dobson, and of course Palmer himself. With Belanger behind them there, too. So Belanger should be in the Hall of Fame then, right? Not so fast, Palmer says. Palmer went on to answer the question by citing the difference in batting coaches’ approaches with the gifted shortstop. Which brings us back to Vizquel’s case. Palmer’s deeply informed perspective on his former teammate creates a compelling debate over whether we should we start celebrating historically elite defenders regardless of their overall numbers. Do you know who the greatest defensive first baseman is by Fielding Runs? Albert Pujols, with +139. The two-time Gold Glove winner known almost exclusively for his bat posted the only +30 Defensive Runs Saved season for first sackers. Not even Keith Hernandez, who’s listed in the second spot with +117, hit that mark. For comparison, Pujols is also the number one first baseman according to dWAR. Of course, one statistic is baked into the other, but there are quite a few instances in which the ballpark adjustment flips the ranking between the two greatest defenders at a given position, like with Belanger and Ozzie. The “eye test” has Hall of Famers Joe Gordon and Bill Mazeroski listed atop the second basemen rankings according to the stat, with +150 and +147, respectively. Number three is someone who is evolving in my opinion as a strong Hall of Fame candidate,: Chase Utley. Another insight gleaned from Jaffe’s book is how the eye test can be somewhat misleading. Pittsburgh Pirates great Pie Traynor, known during his time for his expert glove work at third base, actually compiled -32 Fielding Runs in his career. However, the immortal double-play trifecta of Tinker (No. 4 at shortstop), Evers (No. 6 at second base) and Chance (No. 15 all time at first base) more than lives up to the myth. Was Theo Epstein ahead of the curve by giving Jason Heyward that $184 million-dollar contract? The Cubs’ defensive whiz is currently third all-time in Fielding Runs with +158 for right fielders, behind Roberto Clemente (+205) and–wait for it–Jesse Barfield with +161, whom Heyward will no doubt pass next season. (He’s already ahead of the former Blue Jays star in dWAR.) 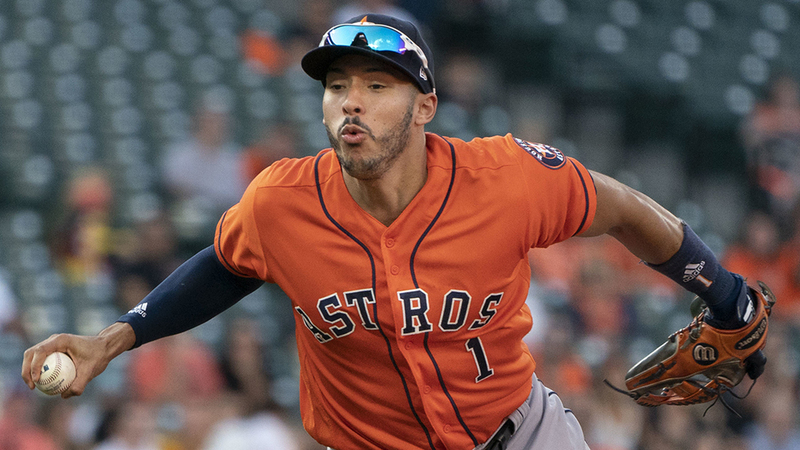 Do you know who’s third all-time among left-fielders? Brett Gardner, the lone remaining Yankees player who roamed the old-new stadium in the Bronx, with 122, behind Hall of Famer Carl Yastrzemski and the Hall-worthy Barry Bonds. Going around the diamond, we see defense-fueled Hall of Fame debates at nearly every position. Third baseman Scott Rolen is third all-time with +175 in Fielding Runs, right ahead of Buddy Bell with +174, and the former Rangers and Indians third-sacker has really never been on anyone’s Cooperstown radar. This year’s All-star Game MVP, Yadier Molina, is second with +115 Fielding Runs at catcher, passing highly-respected though largely-forgotten defensive whiz Jim Sundberg by one. Braves star Andruw Jones leads all outfielders with +236 runs saved. Even Jim Rice is among the all-time leaders in left field with +24. Take that, eye test. Ultimately, while Vizquel enjoyed an outstanding career, came within striking distance of 3,000 hits, and holds the strong admiration of Hall of Famers like Jim Palmer and insiders around the league, he’s not nearly one of the top 10 shortstops of all time. His 82 OPS+ in the era of Alex Rodriguez, Derek Jeter and Nomar Garciaparra does him no favors, and with the backlog of powerhouse offensive stars like Chipper Jones, Jim Thome and Rolen joining an already-crowded ballot that includes Edgar Martinez, Larry Walker, Manny Ramirez, Fred McGriff–and fellow ’90s offensive shortstop Miguel Tejada joins the rolls next season, no doubt siphoning off a vote or two–the former All-Star might need to wait a little while. Keep in mind this thought: Vizquel’s stats make him a near statistical replicant of Hall of Fame Shortstop Rabbit Maranville, with both having the exact same ERA+ at 82. Still, it took 16 rounds to get Maranville into Cooperstown, and that was with much, much less ballot competition and an anonymous voting system. While the NFL Hall of Fame process celebrates defensive players as much as offensive stars, and while we acknowledge this as necessary due to the lack of two-way players in that sport, as we move closer and closer to league-wide non-hitting pitchers, it may be time to reconsider the defensive elite, the Belangers, the Paul Blairs and Jimmy Piersalls (tied for third among center fielders behind Jones and Mays) for our adoration and enshrinement. Elite defense is well worth celebrating, and if you follow the actions of Theo Epstein, maybe well worth paying for, too. Belanger was that good without diving for balls? Imagine if he had! He was that good. In the mid 70’s, the Orioles had four players (Belanger, Robinson, Grich, and Blair) who together won over 30 gold gloves. You will read many articles on the web about how overrated the Orioles’ pitching was in this era and how their success was due to their defense. The prime of their pitching dynasty corresponds almost perfectly with the best years of their defense. Mark Belanger was a strong fielder, but let’s not get carried away. His bat was a major negative, and those Orioles team could have used more offense from Belanger in those WS defeats. 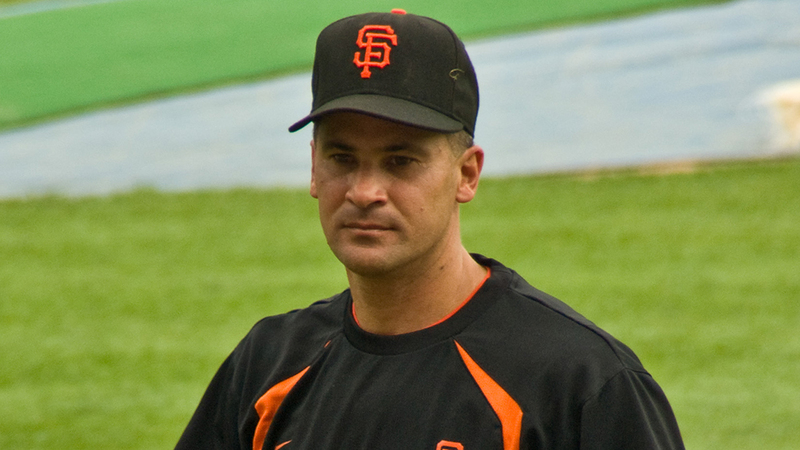 Omar Vizquel was easily the superior, more valuable player. Interestingly, if Vizquel makes the HOF, he will be the only HOF teammate of Barry Bonds. But Jeff Kent and Tim Lincecum have a chance. If you play for over 20 years, you tend to end up being teammates with a future HOFer. Tony Gwynn played with Rickey Henderson, Roberto Alomar, Goose Gossage, and Trevor Hoffman (assuming he gets in). Mike Piazza had: Alomar, Henderson, Tom Glavine, Pedro Martinez, and Hoffman. There is also Carlos Beltran. I think Jeff kent actually should be in the hall although he won’t make it. lincecum has no Chance of course. Jeff Kent’s power numbers are right there with any second baseman in history. EVER. Maybe your sense of humor needs an adjustment. Gwynn also played with Winfield, who went in the Hall as a Padre and Piazza and Ozzie Smith who everyone forgets spent time with the Pads. Also Kent belongs in and I also laugh about Lincecum having a shot. Actually, Winfield and Smith left San Diego before Gwynn arrived, and Piazza came after Gwynn had retired.